Hadi was born premature and had to spend the next three months in neonatal intensive care in Bahrain. “Hadi had to be given oxygen – he was born blue, with jaundice and a hole in his heart. When he was born, he was only kilo,” Hadi’s father adds. Thankfully, Hadi recovered under the expert care of the doctors in Bahrain, but just before the family were discharged, they discovered that Hadi had Retinopathy of Prematurity (ROP). ROP is a potentially blinding condition that occurs in premature babies when the blood vessels have not had the chance to develop fully in the womb. It is one of the most common causes for vision loss in childhood, and can lead to lifelong vision impairment and blindness. Hadi received laser treatment in Bahrain, but unfortunately the disease progressed despite the treatment, with retinal detachment in both eyes which would have led to blindness without expert treatment. “Our doctor suggested we go abroad for the specialist treatment needed to save his sight.” Marwa states. Hadi and his family were sent to Great Ormond Street Hospital for Children (GOSH) in London for treatment. “Hadi came to the hospital when he was only a few months old and presented with advanced retinal detachment in both eyes. I believe that without treatment, Hadi would have almost certainly lost sight in both eyes,” Chien Wong, Hadi’s consultant at GOSH, explains. Hadi, now 14-months old, returns regularly to GOSH for check-ups, and Wong remains happy about his prospects. “Having seen Hadi eight months after the operation I am delighted to say he is doing very well,” Wong says. 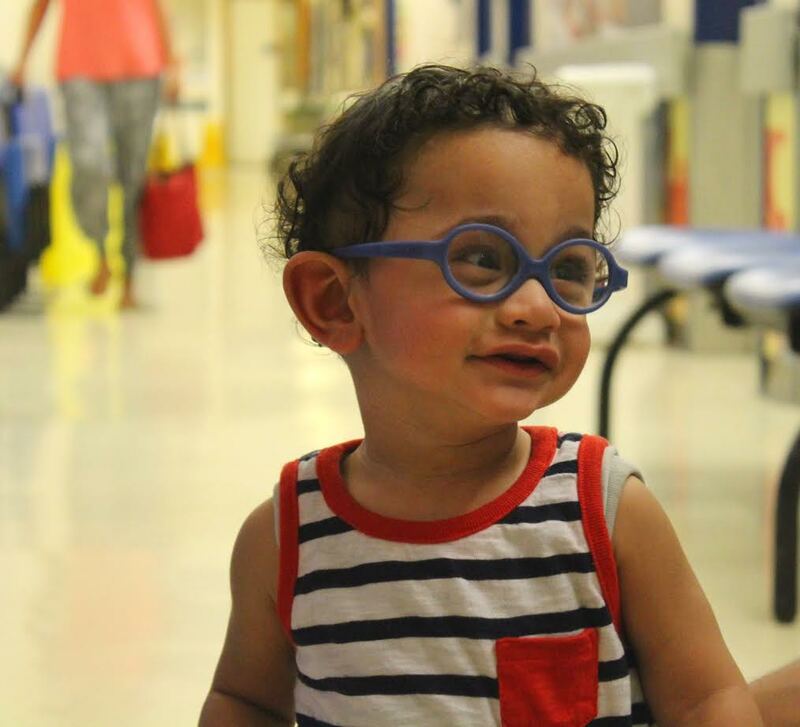 “Marwa has told me how he can pick up small objects and that he has good visual behaviour at home.” Hadi is a cheerful, active toddler and wears his special blue glasses happily. “Hadi loves to try and walk and be active,” Hadi’s father smiles. “We would like to thank the Bahrain government for sending us to GOSH,” Marwa says emotionally. The Bahrain embassy funded the family to come to the UK for the sight-saving surgery. “We would also like to thank the doctors at GOSH for saving Hadi’s sight.” The family plans to return in six months for their next check-up and remain hopeful about Hadi’s future.